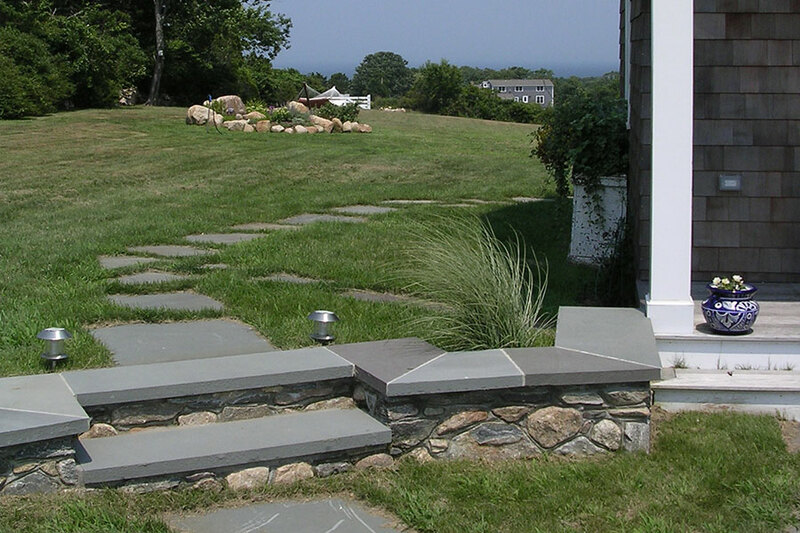 A landscape architectural master plan was provided for a two-acre residence on the eastern end of Block Island. 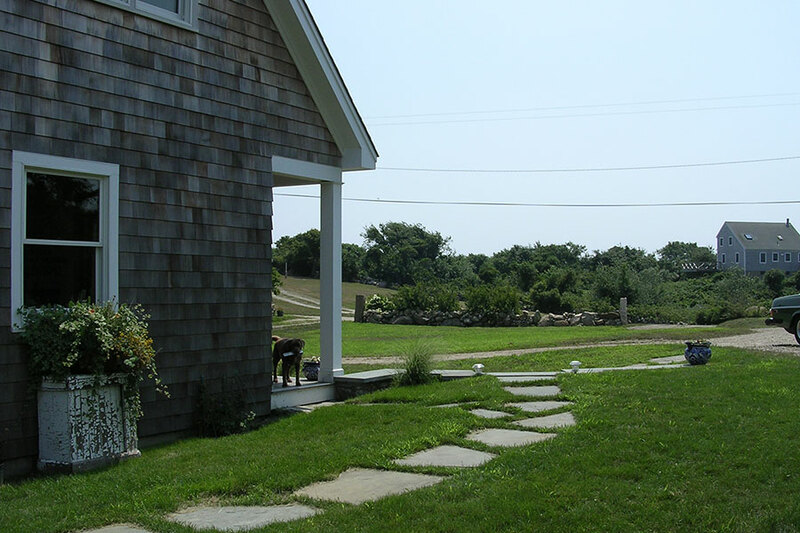 The house was surrounded by open fields with distant views to woodlands and Block Island Sound. 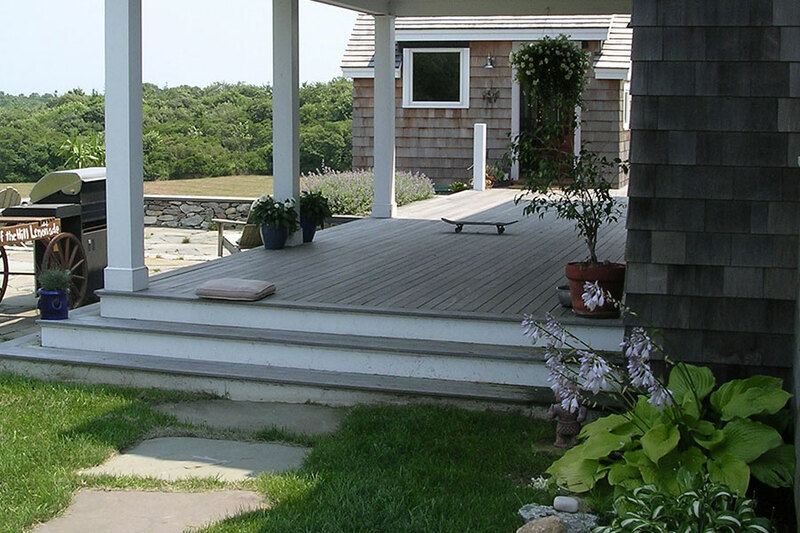 The client required a new studio addition, a covered deck and a patio to sustain their 3-season outdoor lifestyle. Spaces for children to play, for a fenced vegetable garden and perennial gardens and a recommenced location for a future fruit orchard and a garage were included in the master plan. 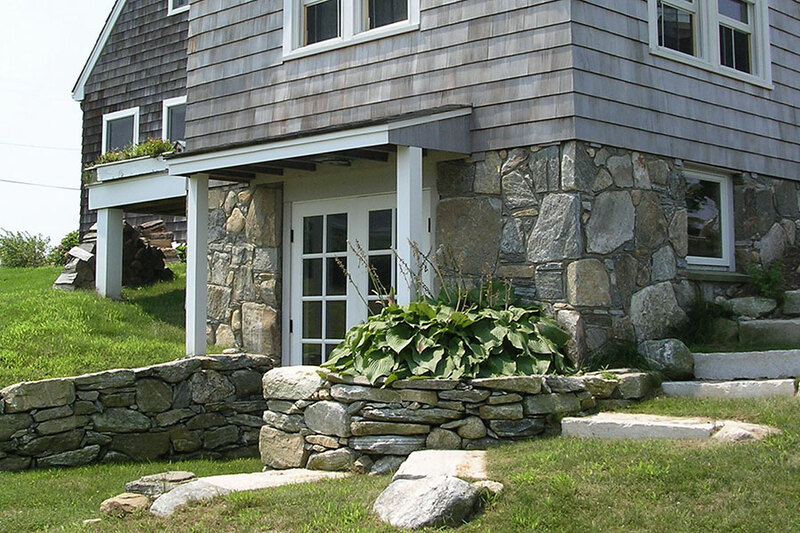 Although the property is situated on a private gravel road, the house is located close to the road edge and thus, the client required privacy screening along this frontage. A circular driveway provides adequate parking for guests as well as adequate access for truck access to delivery supplies for the home-based business. 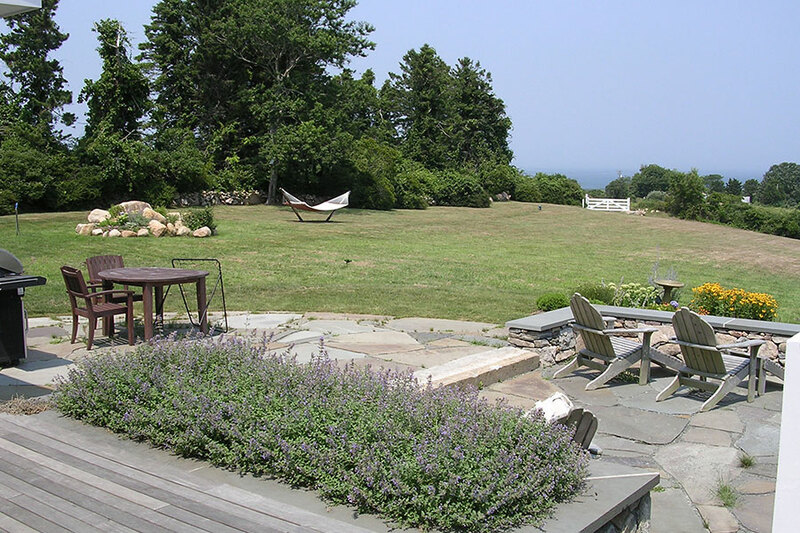 Plantings were kept to a minimum and are “deer-resistant” as well as sustainable and suited to the windy coastal setting.